This page is set aside for club members' children to showcase pictures of their catch. If you have a picture or drawing that you would like to add to this page e-mail them to Avanti as an attachment. 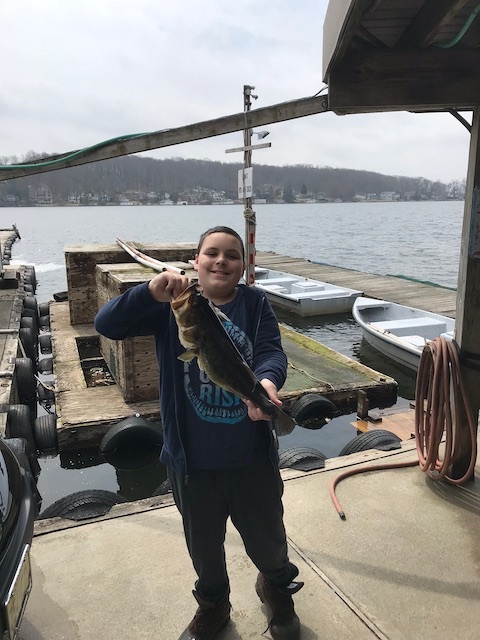 Jake Bozik with his 5 lb 14 oz lunker largemouth bass 4/8/19. 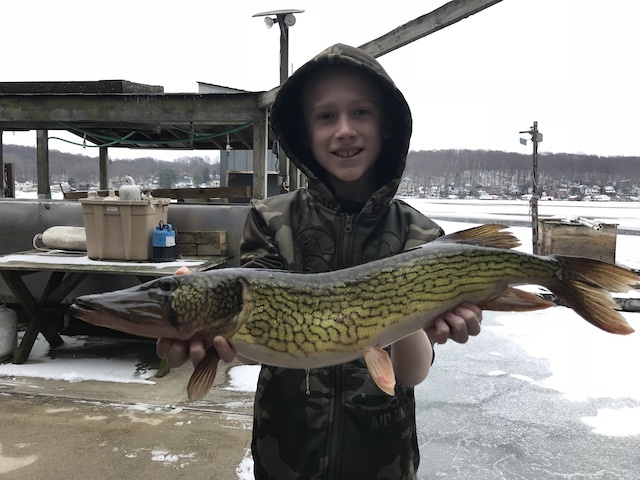 Trevor Nilson with 4lb pickerel 2/3/19. 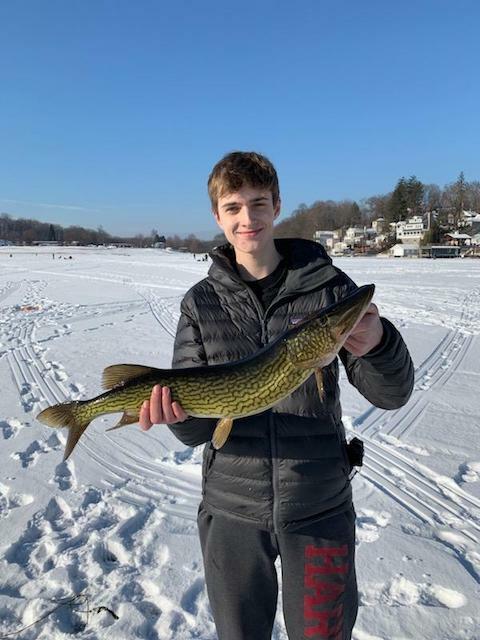 Max Hughen starts off 2019 with a 4 lb 4 oz pickerel through the ice.